Reports on the possible provision of lethal aid to Ukraine has produced two good articles in WSJ and NYT. Some excellent observations by Scaparrotti, Hodges, Karber, Breedlove, Herbst and others. Peskov earns today’s COCW Award for his comment on the matter. Galeotti on target with Putin’s posturing. The problem with Moscow is that they seem to far too often confuse the alternate reality contrived for their posturing, with actual reality – notably the style of corrupt crony capitalism built in Russia reflects not as much Western capitalism, the actual reality, but the grotesque Soviet era depictions of Western capitalism contrived by the Soviet propaganda machine, and often mirroring aspects of Soviet era Russian culture. The imperative is that if/when the US provides lethal aid to Ukraine, it must be of sufficient lethality and quantity to dispel any wishful / delusional / alternative thinking in Moscow of emulating Hitler’s Blitzkrieg campaigns. WashPost OpEd on new Cold War overstates Russia’s strategic weight, but correctly puts the blame on Russia – Putin desperately needs Russia to be under siege to sustain his propaganda illusions. VP Pence in Georgia. Monuments war and diplomatic harassment continue. Meyer makes some excellent points on Russia’s failure to grasp reality. Inozemtsev’s AfterEmpire essay is possibly the most insightful analysis yet seen of how Russia’s colonial model failed and produced today’s “hybrid” Russian quasi-state, neither fish nor fowl, and deeply dysfunctional. Gelman argues that disintegration is an exaggerated fear in Russia, yet current policy is pouring accelerant on the very divisions that would cause it. Bezchastnaya on how Russia’s fertility policy further skewed demographics away from the ethnic Russian population. Multiple reports on the ongoing meltdown, along all previous observed threads. Belarus invites international observers to Zapad 2017. Romanian Foreign Minister Teodor Melescanu puts blame on Rogozin for intentionally testing EU sanctions policy. Moldovan govt statement: “Moldovan authorities advocate and will consistently advocate in future the withdrawal of the Russian forces and ammunition illegally located in Moldovan territory. Under these conditions, the government believes that Russia’s claims to be an “impartial intermediary and the guarantor of compliance with the agreements achieved during the negotiations to resolve the Pridnestrovian conflict” seem ridiculous. Last week the Moldovan Foreign Ministry announced that it considers the celebrations in Tiraspol and Russia’s participation in them inappropriate. On Thursday, July 27, Moldova denied entry to a group of Russian artists who were headed for the celebrations in Transnistria. On Friday, July 28, a Russian delegation headed by Deputy Prime Minister Dmitry Rogozin was unable to fly to Moldova. The plane was turned back by Romania on its border, as Romania would not allow the flight through its airspace on account of there being a “sanctioned person on board”. US coal deliveries to Ukraine are possibly the largest theme other than the lethal aid debate. Donbass fires continue, while Russians display latest weapons in Crimea. Reports on capture of Russian personnel. More reports on how the Russians captured a disabled Ukrainian female blogger at a checkpoint, and tortured her for 4 days to force a confession. Turchenov calls for NATO standard salaries for AFU. 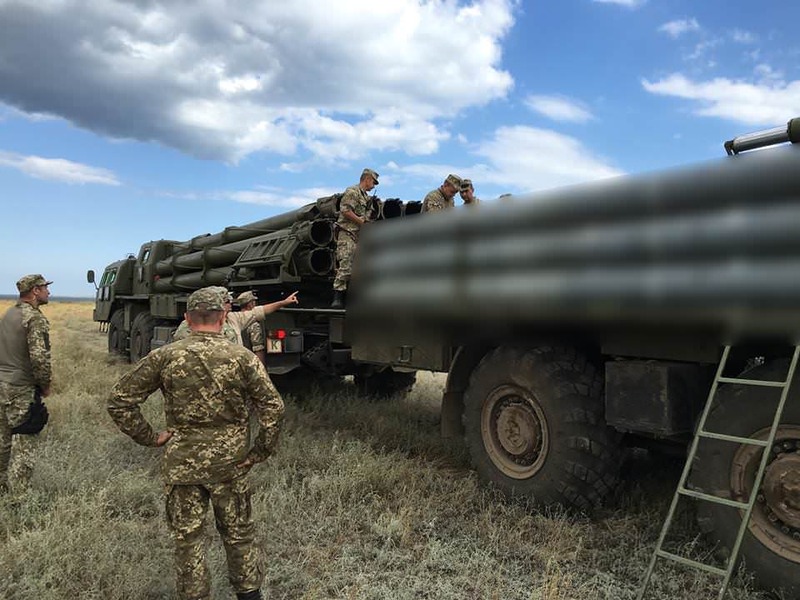 Poroshenko says Ukraine to start manufacture of missiles (this appears to be the Vilkha GMLRS). Foreign Affairs essay on militia manages to confuse Biletsky with Avakov begging real questions about the quality of the research. Canada FTA starts today. DPRK sends delegation to Iran, while Foreign Policy uses DPRK to defend Iran deal. Debate over DPRK RV viability, Schilling projects ICBM evolution, and SLBM launch equipment testing reported. Beres makes some good points on the problems arising in understanding another player’s intent. The difficulty with players like the Kim regime (and Putin regime) is that they often confuse internal propaganda representations of Western intent with actual intent. Maintenance of internal cohesion favours this behaviour. The result is that they will act in manner an objective observer would regard to be irrational, and Western appeasers often reinforce such beliefs. Beijing pushes back and publicly absolves itself of responsibility for the DPRK – saleable to Western MSM but not to anybody with a grasp of history. Much on 90th Anniversary parade. Taipei objects to Zhurihe training range construction of mockup of Presidential buildings in Taiwan. Indian MSM reporting on PLA incursions into Uttarakhand region in the Himalayas. Germany’s SDP appears to be escalating its campaign to force an EU collision with the US over Nordstream 2 – Nougayrède is right, Russia will win if the SDP’s (politically corrupt) self interest is put ahead of European and NATO Alliance interests. Venezuelan meltdown accelerates. Turkey again in the news. Most interesting IW/IO/cyber reports include DPRK hacking of a HRC supporting think tank, KW report on fake news, and Russian Foreign Ministry again propagating fake news. Shuster essay makes the point previously articulated – Russia sees the West as it wants to see the West, to sustain otherwise ridiculous beliefs required to maintain an otherwise unsustainable form of dysfunctional state. VP Pence indicates sanctions bill will soon the signed. The Pentagon and State Department have devised plans to supply Ukraine with antitank missiles and other weaponry and are seeking White House approval, U.S. officials said, as Kiev battles Russia-backed separatists and ties between Moscow and Washington fray. The Departments of Defense and State have come up with plans to provide Ukraine with weapons as the country continues to battle Russia-backed separatists, and are now seeking support from the White House, according to a report. The weapons, characterized by military officials as “defensive,” are meant to discourage aggression from Moscow, which has given tanks and other arms to separatists battling Ukrainian government forces, according to the Wall Street Journal. Under the plans from the Pentagon and State Department, the U.S. would give Ukraine anti-tank weapons such as Javelin missiles, anti-aircraft weapons, and other arms. Russia invaded and annexed Ukraine’s Crimean peninsula in 2014, and since then, the Russian government has been supporting rebels in the eastern part of Ukraine. Approximately 10,000 people have been killed in the conflict in eastern Ukraine, according to the United Nations, and U.S. officials are worried the fighting has intensified. “The level of violence is up a bit of late,” Gen. Curtis Scaparrotti, commander of U.S. European Command and NATO Supreme Allied Commander Europe, told the Wall Street Journal. “The Russians provide equipment, some of their most modern equipment, and they provide proxy forces with advisers.” Since 2014, the U.S. has limited its support for the Ukrainian military to “non-lethal aid and training,” and provided night-vision goggles and short-range radar, among other equipment, to Ukrainian government forces. The Obama administration limited its assistance after German Chancellor Angela Merkel and other close allies opposed efforts to supply weapons to Ukraine. Though Germany and France are still skeptical of such measures, U.S. officials believe other allies such as the United Kingdom, Canada, and Poland, may be open to boosting support. According to a senior administration official, the plan to arm Ukraine wasn’t discussed at a meeting at the White House last week, and President Trump hasn’t yet been briefed on the proposals from the Pentagon and State Department. Officials believe a final decision from the White House on whether to move forward with the plans could take months. But the measures reportedly do have the backing of Defense Secretary Jim Mattis. A spokeswoman for the Pentagon, Lt. Col. Michelle Baldanza, said the U.S. hasn’t “ruled out the option” of giving “lethal defensive weapons to Ukraine.” Approval of a plan to provide weapons to Ukraine would come as tensions between Moscow and the U.S. continue to heighten. After Congress passed a package of economic sanctions against Russia last week, which Trump is expected to sign, Russia announced it would expel hundreds of American diplomats. The Pentagon and the US Department of State have already developed a plan to provide Ukraine with lethal defensive weapons and are awaiting White House approval, the Voice of America reported on 31 August. The position of US President Donald Trump on this issue is not yet known, an unnamed high-ranking US government official said told the Wall Street Journal. “It’s about time,” Sen. John McCain responded on Twitter. Under the Pentagon and State Department proposal, the U.S. would provide anti-tank weapons, most likely Javelin missiles, as well as possibly anti-aircraft weapons, in addition to other arms, the WSJ reported citing sources in the US government. Ukraine has long been trying to get the Javelins to effectively combat the Russia-made armored vehicles. According to plans, anti-tank missiles will be provided to Ukrainian troops in the distance from the conflict line in order to limit the risks of escalation and reduce the possible risks that the provision of weapons can induce Kyivto attack, the WSJ said. If Ukraine does not use weapons as intended, Washington may withdraw this support or technical assistance. Since the beginning of hostilities in Donbas, Washington aid mostly boiled down to the supplies of the so-called non-lethal support and defence exercises. Any country, especially that aiming at regulatory role in a conflict, should avoid activities that might provoke a new level of tensions. This was stated by press secretary of Russian president, Dmitry Peskov, Censor.NET reports citing RIA Novosti. Commenting on reports of possible deliveries of anti-tank missiles from U.S. to Ukraine and answering a question whether Moscow was going to initiate any talks with Washington regarding anti-tank missile delivery and whether it would support self-styled republics of the Donbas as a retaliation, Peskov said: “Geopolitical thoughts should not be a reason for commenting. Our stance is well known: we believe that any country, especially those aiming at taking regulatory role, should avoid any activity that might provoke another level of tensions in a complicated region,” Putin’s spokesperson said. And the fault lies squarely with Vladimir Putin. The United States and Russia have descended to a new low point in relations, with waves of sanctions and escalating retaliation. Twenty-five years after the Cold War ended, relations are back in a deep freeze, according to The Washington Post. News 01 August from UNIAN. In expelling American diplomatic staff, the Russian president was trying to sound like the one adult in the room, even as he actively makes the situation worse. Trump hits back when other countries don’t do what he wants. But apparently not in this case. Washington regrets Moscow’s decision to reduce the staff of American diplomatic missions in Russia and is considering a response, as stated to RIA Novosti by a U.S. State Department representative. “This unjustified measure is regrettable. We are estimating the impact of this reduction and how to respond to it. There are no other comments at this time,” the U.S. State Department representative said. Russia responded to the passing of a new sanctions bill by the U.S. Congress by demanding a massive reduction in the number of American diplomats in Russia by September 1st, to equate them with the number of Russian diplomats in the United States. As a result of the new measures against the U.S., 755 American diplomats will have to leave Russia. U.S. Vice President Mike Pence has reaffirmed Washington’s support for Georgia’s sovereignty and territorial integrity during a visit to Tbilisi and denounced Russia’s “aggression” and “occupation” of Georgian territory. Russia’s upcoming Zapad drill was described as a “simulated attack” by Lithuania’s government. Vice President Pence, on his first full day in Eastern Europe, twice offered a clear and direct message to Russia, warning the Kremlin that the United States will not tolerate Russian force or intimidation toward its neighbors. Russia says Poland will face sanctions if it removes monuments to the Red Army’s WW2 victory. Russia is preparing an “asymmetric” response in answer to the adoption by Polish authorities of a law on de-communization, which provides for the taking down of monuments to Soviet soldiers in the country, reports the newspaper Izvestia. The Ministry of Foreign Affairs of Russia said that the “unfriendly actions of Warsaw will, in any case, not remain without consequences.” Several options are considered, including personal sanctions against Polish politicians involved in drafting of the law, economic measures, and work on international sites in order to draw attention to this problem. On July 17th, the President of Poland Andrzej Duda signed a law that provides for the demolition of Soviet monuments. It is expected that the monuments will be taken down within a year after the law goes into effect. There are about 50 such objects in the territory of Poland. Russia called these actions of Poland “an outrageous provocation” and “a terrible insult.” The Federation Council asked Russian President Vladimir Putin to impose sanctions against Poland. Vladimir Putin’s regime acts like it owns the memory and the narrative of the Second World War. The Kremlin appears to believe that it has the right to dictate how other countries mark, remember, and commemorate World War II. And the latest example of this came just this week. According to the pro-Kremlin daily Izvestia, Russia is now threatening to impose sanctions on Poland if it goes ahead with plans to remove Soviet-era war monuments. The Russian Foreign Ministry accused Warsaw of “Russophobia” and of attempting to “belittle the Soviet Union’s role as liberator.” Now this, of course, overlooks the inconvenient fact that Poland, like the Baltic states, views the Red Army in World War II not as liberators but as conquerors and occupiers. It conveniently ignores the pesky fact that before Moscow fought against the Nazis, it collaborated with them to invade and partition Poland and to occupy the Baltics. And it is willfully indifferent to the fact that for these countries, World War II was a battle against two of history’s most nefarious regimes: Adolf Hitler’s Germany and Josef Stalin’s Soviet Union. The current tension with Poland is ominously reminiscent of Moscow’s reaction to Estonia’s decision 10 years ago to remove a Soviet-era war monument from central Tallinn. Then, Russia responded with a massive cyberattack against Estonia and with orchestrated riots by ethnic Russians on the streets of Tallinn. The Kremlin’s attempts to control the narrative about World War II is more than an academic exercise and it’s more than about preserving Russia’s national pride. At its heart, it’s an attempt to legitimize Moscow’s postwar occupation and dominance of its neighbors. It’s nothing short of an attempt to sanctify an autocratic empire. For the longest time, Russia had hoped for positive changes in relations with the US, before introducing new measures against Washington, stated Russian President Vladimir Putin, Vesti.Ru reports. “We waited for quite some time that maybe something will change for the better, had such hope that the situation will somehow change. However, judging by everything, if it changes, it will not be soon,” the Russian leader said. Putin noted that he considered it necessary to show that Russia “will no longer leave anything unanswered.” Russia has already taken retaliatory measures, requiring a massive reduction in the number of American diplomats before September 1 to equalize their number with the number of Russian diplomats in the United States. This was done in response to the US Congress approval of new sanctions against the Russian Federation. 755 US diplomats will now have to leave Russia as part of the framework of new measures against the US. Of Russia, at Home and Abroad – Russian Roulette Episode #35 July 28, 2017 On this edition of Russian Roulette, Olga and Jeff sit down with Brian Whitmore, Senior Russia Analyst at RFE/RL and host of the podcast The Power Vertical, for a wide-ranging conversation about the role of disinformation in Russian grand strategy, the upcoming Russian presidential elections, and the state of civil society in the Russian Federation. For more from Brian, you can listen and subscribe to his podcast, The Power Vertical. It is available on iTunes and the RFE/RL website: https://www.rferl.org/z/884. For more from us, stay tuned, and as always, keep sending us mailbag questions! Email rep@csis.org and put “Russian Roulette” in the subject line. We look forward to hearing from you and answering your questions. At precisely that moment when his country’s economic prospects are tanking, Vladimir Putin is hobbled with a spy service like Inspector Clouseau. Paul Goble Staunton, August 1 – Three specific and even unique characteristics of the Russian Empire in the past have not disappeared in the Russian Federation of today but instead continue to drive both the foreign and domestic policies of the Kremlin, according to Moscow commentator Vladislav Inozemtsev. In an essay for the AfterEmpire portal today, Inozemtsev identifies the three and discusses the reasons why these imperial features have not disappeared in Russian life in the same way that they did in the case of Western empires like those of the British, French, and Portuguese (afterempire.info/2017/08/01/3features/). First of all, he argues, there is “the unique fact that the center of the imperial power became what was in essence a deeply peripheral oblast: Moscow not only was not a nucleus for t e consolidation of Russian territories during the flourishing of Kyiv Rus but did not even play a significant role in the region dominated by Vladimir, Suzdal and Ryazan.” That in turn has had three consequences, Inozemtsev continues: first, it instilled in the Muscovite principality from the outset “a powerful colonizing drive;” second, Moscow’s formerly subservient or “at least ‘junior’” position led it in a “fanatic” way to seek to impose control over the two “’older’ centers of Russian statehood, Novgorod and Kyiv” both of which were linked to Europe; and third, Muscovy’s long subordination to the Mongol Horde gave it the necessary skills to build and hold a continental land empire. Second, the Moscow analyst says, the Russian imperial experience strikingly recalls “the expansion of European powers in essence and [even] chronologically but was distinguished from them by its results.” Like the Europeans, Muscovy started in its imperial direction with what Lorezno Veracini has called “settler colonialism” and moved eastward into Siberia. But after a century or so, the European colonies created by settlers had largely freed themselves from the metropolitan center, “but Siberia remained within Russia.” Then, again just as the Western European powers had acted from the beginning of the 18th century, “Russia began an expansion not along the east-west axis but along the north-south one: the Europeans quite quickly divided Africa and South Asia [while] the Russians seized the North Caucasus and Central Asia.” In this way, Inozemtsev says, “the logic of the construction of the empire was preserved: even chronologically. In both cases, settlement colonization took place first and then occupation and the establishment of regimes of military dominance without the large-scale resettlement of representatives of the metropolitan center in the new possessions.” But despite that commonality, he continues, “Russia turned out to be the only empire in which the second phase of expansion was carried out as an addition to the first and not as its replacement. As a result, the clear division into center and periphery was lost in contrast to the West European and a completely variegated conglomerate began to be viewed as a single state.” And the third distinguishing characteristic of Russian imperialism is and remains that “the great disintegration of the end of the 20th century occurred according to different rules than the imperial collapse in the rest of the world had.” That reinforced the lack of distinction between colonialism by settlement and colonialism by conquest. “As a result,” Inozemtsev says, “within the new country have been reproduced the former contradictions: in it remain part of the historical metropolitan center, the settler colony in the form of Siberia and the recently conquered territories in the North Caucasus which logically do not have any relation to Russia.” This in turn means, he continues, that “all the fundamental contradictions of the Rusisan Empire have been preserved in the Russian ‘Federation.’” It hasn’t been freed of its colonies “politically or economically.” It cannot exist without being an empire regardless of what the country is called.” But the settlement of 1991 involved something else that has ensured that the imperial dimension of Russia has continued, and it is this: many regions that Russians view as part of the metropolitan center are now within the borders of other states. And that means that “there exists and will continue to exist a striving toward fundamental revanchism” to recover them. In its behavior toward Chechnya or the Donbass, Inozemtsev says, “Russia has conducted itself not as the Horde but as a typical European state just like France which tried to hold Algeria or Germany which aspired to Alsace and Lorrain.” But there is a difference and it is critical, the analyst argues. “Russia at the very same time continues to preserve a political construction like that of an empire and not of a nation state, toward the building of which it has never tried to achieve. And this construction … is not capable of being transformed either into a nation state or into a federation.” Consequently, “efforts at the ‘federalization’ of Russia cannot lead to the formation of a contemporary non-unitary state of the kind represented by the US, Germany or even more Switzerland.” Whether that means it will fall apart in a convulsion or disappear in some other way is something “only time will tell,” Inozemtsev says. The events of the 1990s created the notion that the country would fall apart without strong power. These fears are greatly exaggerated. Among the phobias of the domestic public, one of the first places is the confidence in the imminent territorial disintegration of Russia in the event that radical political changes will ever take place in the country. These fears are usually caused by memories of the events of the early 1990s, when the change in the political regime in the USSR was accompanied by a painful territorial disintegration of the union state against the backdrop of numerous ethnic conflicts. In combination with the spontaneous and deep decentralization of Russia that lasted until the early 2000s, this experience had such a shocking effect that the part of the public interested in politics can not imagine any other future for our country when changing the regime, and the current vertical of power seems almost The only mechanism that prevents seemingly inevitable disintegration. In fact, the disintegration of the USSR (as well as the disintegration of Yugoslavia taking place in parallel with it) was a rather specific and unique event caused by a combination of the country’s national-state structure and unsuccessful attempts to change it, which were undertaken against a background of deep economic and political crisis. Spontaneously emerged coalitions of the republican elites and national movements in the union republics were interested in seceding from the USSR, and the weakened center, which was weakened before the eyes, was not able to offer them any other solutions. But already at the level of Russia, this kind of development of events was not observed – with the exception of Chechnya, where, for a number of reasons, in 1991, power was captured by representatives of the national movement. Paul Goble Staunton, August 1 – Russian officials say the declining number of working-age Russians may limit the country’s economic possibilities, but experts note the pro-natalist policies Vladimir Putin has promoted have increased fertility rates among non-Russians while doing little to stop them from falling among ethnic Russians, a pattern that is making Russia ever less Russian. Official concern about the size of the work force is reflected, Mariya Bezchastnaya of Svobodnaya pressa says, in both the decision of the Russian Central Bank to keep interest rates high and in a report by the economic development ministry about the current state of the Russian economy (svpressa.ru/economy/article/178020/). The Central Bank noted that “one of the limiting factors” of Russia’s economic growth is the size of the labor market “where already are being observed signs of a shortage of cadres in particular segments.” To the extent they grow or spread, that will present real problems (cbr.ru/press/keypr/). And the Economic Development Ministry’s report says that demographic trends mean that unemployment is declining because there are fewer people seeking work even as there is agrowing demand for them (vedomosti.ru/economics/articles/2017/07/31/727040-rinok-truda#/galleries/140737493462195/normal/1). Both agencies stress that “compensation is [as a result] beginning to grow more rapidly than productivity,” something that will ultimately lead to inflation unless worker productivity goes up. If economists focus on this danger, demographers argue that “potential inflation is far from the main problem.” Igor Beloborodov, the direction of the Independent Institute of the Family and Demography, argues that the growing shortage of workers not only threatens economic growth but will make it impossible for Russia to “maintain its geopolitical position and respected status in the international arena” not immediately but within a few years. Frightened by this threat, he continues, many in Moscow are inclined to open the gates to far more gastarbeiters from Central Asia. But that is “an anti-Russian approach” because “in this way we will simply wreck the labor market as a result of dumping” and allow for the emergence of “ethnic monopolies on work places. This is a serious issue for reflection.” “More than that,” Beloborodov says, “such an approach will lead directly to the collapse of the country and to ethnic revolutions. If there were causes for a Maidan in Ukraine, including the weakness of the authorities and corruption, then with us, one of these threats is the ethnic factor – and therefore one must approach the issue of migration very carefully.” Immigration must be structured so as to correspond with the existing ethnic balance in the country rather than allowing it to undermine that balance, the demographer says. The same thing is true regarding pro-natal policies. Those are needed to boost the birthrate and produce more workers, but they too must take the ethnic factor into account. Unfortunately, Beloborodov says, that hasn’t always been the case. The pro-natal policies of the government have boosted birthrates overall but not evenly across the country. In predominantly ethnic Russian regions with low birthrates now, these policies have done little or nothing. But “in non-Russian republics and regions of compact settlement of representatives of other indigenous peoples of Russia,” these policies have boosted fertility rates. If that trend continues, “it will promote the deformation of the existing demographic situation in our country.” “The share of the ethnic Russian and Slavic population will fall, and the existing relationship of various nationalities will be deformed.” Thus, any policy in this area must take ethnicity into consideration, and different approaches should be used in different regions to ensure that deformations don’t take place. But if “revolutionary” steps aren’t taken in this area now, Beloborodov says, “we will experience the most serious problems” in the decade between 2040 and 2050. Have you tried the fidget spinner? The toy that enjoys a wave of global popularity has now also reached Russia – only to be blamed on national TV for being instrumental in a conspiracy to topple the Kremlin leaders. Yes, you read that right. In a news broadcast aired by Russian state TV Rossiya-24, the audience was told that the spinner “has at several occasions been seen in the hands of members of the opposition”. The spinner is in fact closely tied to political activism both in Russia and abroad, if we are to believe Russia’s national broadcaster. But that is not the end of the story. Russia’s consumer watchdog, Rospotrebnadzor, followed up on Rossiya-24’s conspiracy theory by ordering a probe into the spinner’s possible negative effect on children’s health, as reported by CurrentTime TV. On July 27, three police officers in Voronezh approached two Chechen women with a child and asked to see their documents. Only one of the officers was in uniform, and the other two were in plainclothes. One of the women, an adolescent girl, refused to show her papers, telling police that she was simply out for a walk with a three-month-old baby, not breaking any laws. The officers then demanded that she accompany them to the police station. They were shot dead after trying to take the arms from the officers who were escorting them. ON MY MIND One way or another, we’re in for a helluva show next year. One way or another, the March 2018 presidential election will probably be like nothing we have seen before in Russia. And the reason is Aleksei Navalny. Because whether or not Navalny is allowed to run — and all signs are that he won’t be — he will be a presence in the campaign nonetheless. In the unlikely event that Navalny is allowed on the ballot, his modern grassroots campaign (illustrated in an excellent piece by Marc Bennetts featured below) will contrast sharply with those of Putin and fake opponents like Gennady Zyuganov and Vladimir Zhirinovsky. He won’t be allowed to win, but he will win by losing, by exposing the public to a real election campaign and by exposing the Potemkin nature of Russian elections under Putin. And in the more likely event that Navalny is not allowed on the official ballot, my assumption is that he will continue campaigning and act as if he is running anyway. And the result will be the same, with the added opportunity for Navalny to ridicule the fake election pitting Putin vs. Zyuganov, Zhirinovsky, et al. Navalny is not running to win in 2018. He is running in a longer-term election. He is positioning himself for a future when this regime inevitably runs out of steam. Next year’s election is just the opening bell. And one way or another, it’ll be one helluva show. In the next year’s presidential election in Russia, 18–34 year olds will constitute 30 percent of eligible voters. While Vladimir Putin pretends to keep his options open about running for re-election, many wonder how the young Russians who grew up entirely under his rule will vote in March 2018. Is this new generation more democratic? Maybe not. Young Russians are angry about social problems in the country and are prepared to protest for a solution, but at the same time they tend to have little interest in traditional politics. This year, opposition leader Alexey Navalny moved the younger generation to take part in mass anti-corruption protests across the country in March and June. On July 23, young Russians again stood on the frontline at a smaller demonstration in Moscow to challenge Internet censorship. Younger Russians are certainly less susceptible to the regime’s propaganda as they inform themselves online, not through state-controlled television. They are more open, mobile, and tolerant of migrants and the LGBT community than those over 40 years old. According to recent polls by the independent Levada Center, this group is also more likely to speak a foreign language and travel often. At the same time, though, independent and state-related pollsters find that Russia’s youth is actually more conformist than the population in general. In January, Levada reported that 64 percent of youth (defined as 18–24 years old) approved of the government, in contrast to 50 percent of the general population. Putin’s approval rating among them was 91 percent. The Kremlin-friendly Public Opinion Foundation published similar results in March, claiming that 69 percent of 17–34 year olds approve of the general direction of the country. Yet another poll from Russia’s Public Opinion Research Centre (VCIOM) shows that support for the ruling elite is higher among the young. The majority describe themselves as happy, according to the Higher School of Economics, and 48 percent prefer cautious tuning of the country’s existing structures to radical change. Polls also describe this generation as being indifferent to political programs and society as a whole. Just 8 percent of students take an active interest in politics and 65 percent cannot define their political preferences. 41 percent of 18-30 year olds believe that patriotism is more expected among older people, and people in their 60s agree. Russians between the ages of 17 and 34 place high value on peace in the family, prosperity, and health but not personal freedom and independence. So, it is not surprising that young Russians do not come out en masse to join rallies called by traditional regime opponents to defend political rights and freedoms. Nor that 36 percent of youth say they can join a protest as long as the issue is of importance to their family, and 16 percent say they have recently taken part in demonstrations. About 10 percent are ready to join protests according to Levada Center. As corruption is the main concern for 66 percent of youngsters, it is no wonder they joined Navalny’s anti-corruption protests, inspired by his investigation on Prime Minister Dmitry Medvedev. Last Sunday’s demonstration in Moscow also brought together young Russians to defend freedom of speech on the Internet, their natural habitat. Statistics issued by Rosstat and the United Nations show that Russia now consists of 15 to 20 “national disaster zones,” enormous regions larger than many countries and having standards of living which are “similar to the very poorest developing countries,” Yakov Mirkin says. The Moscow commentator gives as an example the Republic of Tyva. There GDP per capita is 66 percent lower than in Russia as a whole and amounts to 2460 US dollars (in 2015, the last year for which data are available). This puts it alongside Bhutan, Honduras, Nicaragua, Papua New Guinea and other third world countries. Although Georgia is still a success story in an authoritarian neighborhood, three recent trends are a reminder that elements of that story are reversible. The multiple-launch rocket systems capable of shooting for 35 km appeared in Brest streets.A reader from the city on river Bug reported this to the Charter97.org. “MLRS “Hurricane” in the streets of Brest. On August 1, the “Hurricane” multiple-launch rocket systems were noticed on the Warsaw highway, a few hundred meters away from the border with Poland. Are these some military exercises, or are we preparing for war?”- the reader wrote as he sent a photo of the military vehicles in the streets of his city, to the editor’s office. The Editor-in-Chief of the propagandistic newspaper obviously prefers “enemy” food. A reader of the Charter97.org sent a photo, in which it is seen how Editor-in-Chief of the propagandistic newspaper of Lukashenka’s administration Pavel Yakubovich is buying food at the food market in Vilnius, to the editor’s office. “The SB Editor-in-Chief Mr. Yakubovich shops at the Vilnius market. He seems to be enjoying it! And then he will return to Belarus to blabber about the rotting Europe,” – the reader wrote. Russian Deputy Prime Minister Dmitry Rogozin tried to cross the Romanian air border to demonstrate that sanctions do not work, Romanian Foreign Minister Teodor Melescanu said. “In my opinion, the whole issue with the flight over Romania was a deliberate attempt to create problems between Romania and Russia,” he said on Monday on the Romanian television channel Antena 3. Melescanu also said that the lives of passengers on board the aircraft were not in any danger. The head of the Romanian Foreign Ministry expressed the opinion that Rogozin “wanted to demonstrate that the sanctions that the European Union has levied against some officials … do not work.” Last Friday, Rogozin’s visit to Chisinau was thwarted because of Romania’s refusal to let the plane with the Russian delegation on board fly into its airspace. The deputy prime minister told reporters that the aircraft was also not allowed to land in Budapest. It was finally able to land in Minsk. From there, Rogozin returned to Moscow. The Moldovan government believes that the presence of Russian peacekeepers in Transnistria helps to freeze the Pridnestrovian conflict. This was expressed in a statement distributed by the government on the 25th anniversary of the peacekeeping mission to Transnistria. The Moldovan government said that it appreciates the positive contribution of the peacekeeping operation on the Dniester since the end of July 1992, but regrets to report that this operation has still not been able to provide the security of a complete demilitarization zone. In its statement, the Moldovan government also gave an evaluation of the agreement on the peaceful resolution of the Pridnestrovian conflict which was signed in 1992, as well as the peacekeeping mission on the Dniester (with Russian, Moldovan and Pridnestrovian contingents). The government recognizes the political significance of this agreement as “indisputable”, as it put an end to the armed conflict. At the same time, the statements point out that Moldova still needs to “deal with the separatist conflict” in future and that the “efforts made towards peaceful resolution have not given results”. The government sees the primary reason for this “political failure” in “the geopolitical interests and historical stereotypes of the Russian Federation, which, by all appearances, is still in the search for a civilized model of building relations with the Republic of Moldova on the basis of mutual respect and non-interference in internal affairs”. In this regard, the report states that the “Moldovan authorities advocate and will consistently advocate in future the withdrawal of the Russian forces and ammunition illegally located in Moldovan territory. Under these conditions, the government believes that Russia’s claims to be an “impartial intermediary and the guarantor of compliance with the agreements achieved during the negotiations to resolve the Pridnestrovian conflict” seem ridiculous. Last week the Moldovan Foreign Ministry announced that it considers the celebrations in Tiraspol and Russia’s participation in them inappropriate. On Thursday, July 27, Moldova denied entry to a group of Russian artists who were headed for the celebrations in Transnistria. On Friday, July 28, a Russian delegation headed by Deputy Prime Minister Dmitry Rogozin was unable to fly to Moldova. The plane was turned back by Romania on its border, as Romania would not allow the flight through its airspace on account of there being a “sanctioned person on board”. Ukrainian state-run energy company Centrenergo said on Monday it had struck a deal with U.S. trader Xcoal to import 700,00 tonnes of thermal coal this year – the first time Ukraine has imported the commodity from the United States. The Trump administration on Monday praised Ukraine’s decision to begin importing more U.S. coal for the winter heating season, saying the country no longer will be forced to rely on Russia for its energy needs. “In recent years, Kiev and much of Eastern Europe have been reliant on and beholden to Russia to keep the heat on,” said Energy Secretary Rick Perry. “That changes now.” Perry was responding to a contract reached between Pennsylvania-based Xcoal Energy and Resources and Ukraine’s state-owned Centrenergo utility company. “In the past, Russia has tried to choke off opposition to its ambitions by restricting the flow of natural gas to its western neighbors,” said Commerce Secretary Wilbur Ross in a joint statement with Perry. “Under President Trump’s leadership, I look forward to working with Secretary Perry and others in industry and government to further expand American exports in support of our goals of keeping this country safe and promoting robust economic growth.” The announcement came after Congress passed a bill last week imposing sanctions on Russia, which President Trump has indicated he will sign. The bill created new tensions between Russia and the U.S., with the Russian President Vladimir Putin announcing that several hundred American diplomatic staff will be asked to leave the Russian Federation. “In today’s turbulent world, geopolitical turmoil can create uncertainty for nations without access to an abundance of their own natural resources,” Perry added in his statement on the coal deal. “No one knows this more than Ukraine. The United States can offer Ukraine an alternative, and today we are pleased to announce that we will.” He said U.S. coal “will be a secure and reliable energy source” for Ukraine’s Centrenergo utility and its customers. “This announcement will also boost our own economy by supporting jobs in the coal and transportation industries,” Perry added. “This administration looks forward to making available even more of our abundant natural resources to allies and partners like Ukraine in the future to promote their own energy security through diversity of supply and source,” he said. “Partnerships like this are crucial to the path forward to achieve energy dominance.” The announcement comes after the federal government reported that demand for U.S. coal exports is surging in Europe despite apprehension in the continent over the effects that burning coal would have on global warming. On July 31, the state power generation company Centerenergo announced that it had made a contract to import American coal from the company Xcoal Energy and Resources. As reported on Centrenergo’s website, the contract was signed as early as July 14, in keeping with the agreements between the presidents of Ukraine and the US which were achieved during Petro Poroshenko’s visit to the US. According to the contract terms, Centrenergo is expecting to receive 700,000 tons of American coal by the end of the year. The first ship bearing 85,000 tons is expected to arrive at the Yuzhny port at the start of September this year. All of the American coal will be shipped to meet the needs of the Trypilska thermal power plant, which will enable the plant to renew its operation and continue stably through the autumn and winter period of 2017-2018. After his visit to the US, President Petro Poroshenko said that Ukraine had achieved provisional agreements to purchase 2 million tons of American coal. At present, Ukraine buys coal from Russia, South Africa and Poland. Ukraine’s need to purchase coal became necessary after separatist in eastern Ukraine took control of the anthracite coal mines. 01.08.17 17:15 – SBU raids Zaporizhia mayor office, searches for special means of communication with Donbas terrorists, – Mayor Buriak … View news. The Ukrainian members of the Joint Centre for Control and Co-ordination (JCCC) have warned of possible provocations by Russian proxies in the occupied areas of Donetsk and Luhansk regions (ORDLO) to discredit the Armed Forces of Ukraine before the next round of the Minsk peace talks, according to a JCCC statement released by the press service of the Anti-Terrorist Operation (ATO) Headquarters. News 01 August from UNIAN. On July 30th, on the occasion of the Russian Navy Day, the Russian military presented more than 20 units of caterpillar and wheeled military equipment, facilities, and weapons in the center of the annexed Sevastopol. As reported by Krym.Realii, the Bastion mobile coastal anti-ship missile system equipped with a Yakhont modernized self-directed missile, a mobile command and staff radio station, a floating wheeled armored personnel carrier, a S-300 Favorit anti-aircraft missile system designed to destroy modern aircraft, a Grad 122 mm anti-aircraft missile system, a Hurricane multiple launch rocket system, a Pantsir anti-aircraft missile and gun system, an Osa surface-to-air missile system, and a Gvozdika machine charging self-propelled howitzer. Unmanned aerial vehicles, diving equipment, mine-launching complexes, demining equipment, portable anti-tank systems, automatic grenade launchers, and small arms were also presented. “The Russian military allowed children and adults to try on a special uniform, sit in the cabins, and dismantle and assemble automatic rifles. They told visitors about the capabilities of weapons and equipment and the practice of using it in modern combat conditions. And at that time, they were encouraging people to serve Russia,” the publication notes. 01.08.2017 09:21. Militants launched 18 attacks on positions of the Armed Forces of Ukraine in ATO area in Donbas over the past day. Russia's hybrid military forces attacked Ukrainian army positions in Donbas 18 times in the past 24 hours, with five Ukrainian soldiers reported as wounded in action (WIA), according to the press service of the Anti-Terrorist Operation (ATO) Headquarters. News 01 August from UNIAN. Fighters of the Armed Forces of Ukraine stationed at Troitske say the intensity of shelling by Russian mercenaries has somewhat decreased, but the majority of the “rebels” are well-prepared Russians. Ukrainian fighters say that the terrorists act “briskly,” Censor.NET reports citing Military TV of Ukraine. They are not scared of shelling and debouch knowing that the Ukrainian troops will not open fire. “Many of them are Russians. Some just come to Ukraine as a shooting range – they exercise upon us. Some are professionals. When shelling is underway, the mines arrive precisely on target,” a Ukrainian Army fighter says on the vide. For years the counterintelligence of the Security Service of Ukraine (SBU) has been monitoring Sergey Semenchenko, leader of the missile and artillery weaponry service of one of the LPR (Luhansk People’s Republic) battalions. A citizen of Ukraine and resident of Luhansk, Semenchenko was involved in the distribution of ammunition for nearly two years, but later left the separatist-controlled territory for family reasons. According to TSN TV program, he is already in a pre-trial detention center in Lviv. Semenchenko was the captain of the “LPR People’s Militia”. In his brigade he coordinated the reception of Russian weaponry and its distribution to militants. SBU counterintelligence monitored him for nearly a year and arrested him when he arrived in Ukraine-controlled territory. The Halytskyi Court in Lviv has detained Semenchenko for two months. The arrested man is collaborating with the investigation, providing documentary evidence that Luhansk militants are fighting with Russian weaponry and are commanded by Russians. He claims to have had contact with many Russian regular officers – the chief of staff, the deputy for combat training, the deputy for weaponry. According to Semenchenko, they all arrive from Russian Novocherkassk under invented names and with LPR documents. Counterintelligence officers found a lot of valuable information and photos on his cellphone and the flash drives he was carrying. According to Semenchenko, the local militants are no longer thrilled by the fact that they are governed by Moscow. “Nobody is delighted by what is happening,neither the citizens nor the soldiers. The soldiers who used to be there have already left a long time ago. They have been doing their own thing for a long time: some raising chickens, others doing something else. And those who come leave after two months. They are supposed to sit, and we are supposed to clean up for them everywhere, restore, paint, whitewash, build. And do they allocate money for building? No. You get your salary, chip in, buy paint, paint, cry if you need to. But it’s all been bought with your own money,” Semenchenko said. He also showed in a photo how at his own expense he camouflaged warehouses with Russian weaponry. He claims to have spent roughly 100,000 rubles ($1664 USD) of his own money. Semenchenko explained that the Russian officers are controlled by other Russian officers from the FSB. “The special services call themselves ‘cupols’ (domes). They control their own soldiers, oversee them, so that they don’t steal, don’t walk around, don’t run out of any documents,” the arrested man recalled. Semenchenko is threatened with between 8 and 15 years imprisonment for his participation in the terrorist organization. However, the valuable evidence of Russian involvement which he brought with himself may lighten the sentence. He is willing to testify at the Hague. Liudmyla Surzhenko, a female Ukrainian blogger, who was earlier released from militant captivity in the occupied areas of Donbas had been tortured by her captors for four days, as reported by First Deputy&nbsp;Chair of&nbsp;the Verkhovna Rada, Presidential Envoy on peaceful settlement in Donbas Iryna Gerashchenko. News 31 July from UNIAN. On 29 July following her 16-day illegal captivity, the occupation authorities of Luhansk released Liudmyla Surzhenko, a hearing-impaired civilian woman, and expelled her to the Ukraine-controlled settlement of Stanytsia Luhanska. Ms.Surzhenko was detained at a checkpoint of so-called Luhansk People’s Republic (“LNR”) on the line of demarcation in eastern Ukraine on 13 July when attempting to return to her occupied home town of Luhansk from the government-controlled territory. In captivity, operatives of LNR’s “Ministry of State Security” tortured her to get false confessions of spying for Ukraine out of her. A Ukrainian official is of the opinion that Ms.Surzhenko has been released because her relatives, volunteers, and other activists raised the alarm that she had gone missing. Ukraine prepared appeals to international organizations and courts. Russian security forces released Vadim Pogodin, the former commander of the Kerch battalion of the DPR (Donetsk People’s Republic). He is suspected of murdering Stepan Chubenko, a 16-year-old resident of Kramatorsk, as well as of other murders and robberies in the Donbas. Pogodin was arrested on June 20 in Yalta at the request of the Ukrainian Interpol National Central Bureau. According to one of his supporters who writes on Facebook under the name of Ioann Semenov, Ukrainian law enforcement officers suspect him of intentional murder and illegal deprivation of liberty. He also reported that the former commander of Kerch was detained for 40 days and was ready to be transferred to Ukraine. Chubenko was an active participant of pro-Ukrainian patriotic rallies and single-handedly took down a flag of the DPR from the Kramatorsk city square. He was detained in Donetsk when he traveled from Kyiv to his native Kramatorsk by train. The teenager was shot in July of 2014. Chubenko’s funeral was held on November 8, 2014. According to Poroshenko, the financing of missile production must remain at the proper level. Ukraine is ready to produce new domestic missiles. This was stated by the President of Ukraine Petro Poroshenko during the signing of the law on amendments to the state budget for 2017, the press service of the head of state. According to Poroshenko, the financing of the production of missiles must remain at the proper level. “We are ready to produce new Ukrainian missiles that have been well tested,” he said. Let’s remind, earlier Порошенко declared, that financing of sector of defense will raise at the expense of means from спецконисискации. Poroshenko said that, first of all, the defense sector will be financed from funds stolen by former officials, and returned to the country’s budget by the General Prosecutor’s Office of Ukraine. “Ukraine, the Ukrainian land need protection from Russian aggression, and our Armed Forces, which now enjoy the highest level of confidence, require an adequate level of funding,” Poroshenko said. A brand new combat simulation center set up in line with NATO standards is being launched at a military training base in Yavoriv, Lviv region, according to Ukrainian Defense Minister Stepan Poltorak, the &quot;Ukraine-Solidarity-NATO&quot; Facebook community reported. News 31 July from UNIAN. 01.08.17 15:12 – Ukraine marines and Navy cadets train to march for Independence Day parade, – Navy. PHOTOS Marines and cadets of Ukrainian Navy Forces train to march for the Independence Day parade. View photo news. The Ukrainian government has managed to stifle the independent armed groups fighting on its side in the war in eastern Ukraine. Its success offers lessons for other countries. After Aidar’s incorporation into the regular forces, most of Ukraine’s pro-Ukrainian paramilitary fighters were under government control. However, holdouts remain: some fighters refused to sign enlistment contracts, and they simply kept switching from one independent armed group to another. Many of these fighters wound up in the last sizable paramilitary, Right Sector. Right Sector is active in the field. In the summer of 2016, four fighters were killed and 13 were wounded fighting for Ukraine during the battle in Avdeevka. None of these casualties were soldiers from the standing Ukrainian army. Although Right Sector is a small group, it will be the hardest of all to bring in line. Despite threats from the government and standing offers to join official armed forces, the group is still semi-independent. At this point, it is composed of fighters who have made their devotion to staying independent very clear. They are not tempted by the benefits offered by the government. Their reasons for rejecting incorporation are varied; one group member who refused to enlist in the official army said that “Right Sector is more professional and cohesive than an official army.” Ukraine’s campaign to integrate independent armed groups has been successful so far. Almost all the groups integrated, and the groups’ members have become functional parts of the Ukrainian armed forces, preventing the potential for separate, chaotic chains of command. 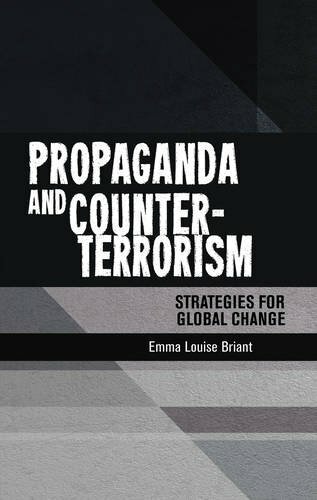 Perhaps other countries facing the proliferation of independent armed groups, such as Iraq, might consider similar solutions—reversing public opinion, pressuring groups’ leaders, and offering enlistment benefits to lower-level group members—when dealing with allies they cannot control. Commander of the National Guard of Ukraine Lieutenant-General Yuriy Allerov says the war in Donbas will not last long. Latest UNIAN news from 01 August. Ukrainian police recorded nearly 150 human trafficking crimes in H1 2017, which is more than twice as many as in the same period in 2016. 01.08.17 11:21 – Poroshenko on FTA with Canada: It’s more important than just a trade deal The agreement on free trade area (FTA) between Ukraine and Canada opens new opportunities to Ukrainian business. View news. 01.08.2017 13:05. Prime Minister of Ukraine Volodymyr Groysman says that the cooperation between Ukraine and Canada will become stronger. The Canada-Ukraine Free Trade Agreement (CUFTA) came into force on August 1, 2017, according to Ukraine's Ambassador to Canada Andriy Shevchenko. Latest UNIAN news from 01 August. Ukrainian Finance Minister Oleksandr Danylyuk denied on Monday an accusation of tax evasion from a lawmaker that has led to an investigation by prosecutors. 01.08.2017 14:35. The State Nuclear Regulatory Inspectorate of Ukraine has renewed the agreement on nuclear safety cooperation with the United States. 01.08.2017 12:23. In July 2017, Ukrainians bought almost 6,500 new cars, which is 16% more than in last year. 01.08.2017 12:20. The People's Republic of China plans to increase imports of Ukrainian food products, in particular those that meet the standards of quality and safety. Denys Reveha loved programming from school, mastered his first computer when he was ten, and created his first website when he was 13-14. His disability – blindness – didn’t interfere with the professional choice he made and his quick progress in it. Today Denys is 25 and he is a programmer with a Lviv company dealing with the European market. In an interview to Tvoemisto.tv, which we have translated and summarized, Denys told about which technologies are adapted to meet the needs of the visually impaired, which programs allow to work on par with sighted people, what attitudes employers have towards the blind, and what should be changed in the west Ukrainian city of Lviv’s infrastructure to make life easier for people with disabilities. 01.08.17 13:03 – Law on citizenship needs to be urgently corrected this fall to prevent other Saakashvili cases, – Interior Minister Avakov Minister of Interior Arsen Avakov says naturalization legislation has to be amended. View news. The law adopted in Russia to streamline the procedure of granting Russian citizenship to Ukrainians includes provisions that are contrary to the Ukrainian legislation, the Ukrainian Foreign Ministry said. As reported, new Russian law provides for granting Russian citizenship to Ukrainians on the grounds of a notarized document containing the renunciation of Ukrainian citizenship. “According to the current Ukrainian legislation, the only document verifying the fact of the termination of Ukrainian citizenship by means of both the renunciation and the loss of it is the Ukrainian president’s relevant decree,” the Ukrainian Foreign Ministry said. The Ukrainian Foreign Ministry said it views the new Russian law as “the continuation of legal discrimination and abuse of the rights of Ukrainian citizens living or working in Russia because of various circumstances.” “In this regard, we urge Ukrainian citizens not to succumb to such provocations and once again warn against visiting Russia,” the ministry said. If Ukrainian citizens’ rights and interests are infringed on in Russia, they will receive all necessary consular support in diplomatic and consular establishments of Ukraine, it said. A top North Korean politician recently left Pyongyang for a 10-day trip to Iran, a country that may still be cooperating militarily with the Kim Jong Un regime. Otherwise, migrant labor abuse will be the gift that keeps on giving for Qatar’s political opponents. OPINION | In large measure, the rising nuclear threat from North Korea will depend on the discernible rationality or irrationality of the North Korean leader. In large measure, the rising nuclear threat from North Korea will depend on the discernible rationality or irrationality of the North Korean leader. Moreover, although very few American military analysts might be willing to raise parallel but also awkward questions about U.S. presidential rationality, such basic queries should not be sidestepped or ignored. Furthermore, in any such inquiry, plausible scientific assessments must take useful account not only of conspicuous and inconspicuous facts, but also of all possible “synergies” between the two principal human decisionmakers — Donald Trump and Kim Jong Un. Among other things, and notwithstanding what we were all once taught in 10th-grade geometry class, whenever such specific decisional interactions or intersections take place, the “whole” may become meaningfully greater than the mere additive sum of its “parts.” In this revealing metaphor, the whole represents the anticipated risk total of a two-party nuclear war, while the parts represent separate and relevant national security decisions made in Pyongyang and Washington. One additional conceptual distinction must now be mentioned and, much more importantly, placed prominently into the American analytic “mix.” This is the crucial difference between inadvertent nuclear war and accidental nuclear war. By definition, any accidental nuclear war would have to be inadvertent, but conversely, there remain certain identifiable forms of inadvertent nuclear war that would not be accidental. Most critical, in this regard, are those calculation errors committed by either one or both sides that could lead inexorably, albeit unintentionally, to a nuclear conflict. The most blatant example would be evident misjudgments of enemy intent or capacity that could emerge during the course of any particular escalatory crisis. Such misjudgments would most likely derive from the mutual and obligatory search by each endangered party for “escalation dominance,” that is, from an inevitable competition in strategic risk-taking. Still other causes of an inadvertent nuclear war with North Korea could include: mistaken or flawed interpretations of computer-generated attack warnings an asymmetrical willingness to risk catastrophic war an overconfidence in deterrence and/or defense capabilities of one’s own side, whether expressed on one or both sides any more-or-less sudden adversarial regime change, including outright revolution or coup d’état in Pyongyang poorly-conceived or narrowly precipitous pre-delegations of nuclear launch authority. Expressed generically, pre-delegations of launch authority are made to ensure that the applicable threats of nuclear reprisal could actually be executed. Such pre-delegations are designed in part to enhance a country’s nuclear deterrence posture, but only to the extent that they are first made sufficiently apparent and recognizable. Two launches of long-range Hwasong-14 missiles means it is time to start taking the North Korean problem seriously. Here’s why the US should consider the neglected idea of a “freeze” in exchange for concessions. The U.S. military has spotted “highly unusual and unprecedented levels” of North Korean submarine activity, CNN reported. A defense official told the network Monday that there was also evidence of an “ejection test,” which looks at the “cold-launch system” of a missile. The system uses “high pressure steam to propel a missile out of the launch canister,” according to CNN. ADVERTISEMENT The report comes after North Korea last week conducted another test of an intercontinental ballistic missile (ICBM). The test — the nation’s second in less than a month — raised concerns about Pyongyang’s capabilities to strike the U.S. mainland. Experts believe the ICBM could potentially hit the United States’ West Coast. American presidents have long vowed to prevent North Korea from gaining such a weapon. On Monday, President Trump expressed confidence the U.S. would deal with North Korea. “We’ll handle North Korea. We’ll be able to handle North Korea. It will be handled. We handle everything,” Trump told reporters during a Cabinet meeting at the White House. Trump over the weekend voiced disappointment with China over its handling of the North Korea threat. North Korea may have finally developed a missile capable of hitting the U.S., but whether it can do any actual damage is open for debate, according to some analysts. The test Friday suggested that Pyongyang may now have the ability to strike the continental U.S. But video analysis shows the mock warhead shattering on re-entry. Siegfried Hecker, former director of the Los Alamos National Laboratory, describes the process North Korea must go through to deliver a nuclear weapon and why he is concerned. 01.08.2017 14:55. Ukraine strongly condemns recent and already second in last month North Korea's ballistic missile launch. China has hit back at Donald Trump over North Korea, with a top official blaming Washington and Pyongyang for raising tensions, while state media warned the US not to &ldquo;stab China in the back&rdquo;. President Trump has repeatedly claimed that China could easily pressure North Korea into curtailing its missile and nuclear programs. The United States and North Korea hold “the primary responsibility” for de-escalating tensions and negotiating peace on the Korean Peninsula — not China, Beijing’s U.N. ambassador said Monday. BEIJING, Aug. 1 (Xinhua) — China must step up transforming its armed forces into a world-class military that is ready to fight and win wars as the country will never compromise on defending sovereignty, President Xi Jinping said Tuesday at an Army Day celebration. “No one should expect us to swallow bitter fruit that is harmful to our sovereignty, security or development interests,” said Xi, also general secretary of the Communist Party of China (CPC) Central Committee and chairman of the Central Military Commission (CMC), during a speech at a ceremony to mark the 90th anniversary of the People’s Liberation Army (PLA). While hailing the PLA’s great achievements over the nine decades, Xi said the Chinese military has reshaped its political environment, organizational form, system of military strength and work style over the past five years. The PLA should firmly safeguard the CPC’s leadership and the socialist system, protect national sovereignty, security and development interests as well as regional and world peace, Xi told senior officials and military personnel gathered at the Great Hall of the People in Beijing. “The Chinese people love peace. We will never seek aggression or expansion, but we have the confidence to defeat all invasions. We will never allow any people, organization or political party to split any part of Chinese territory from the country at any time, in any form,” Xi said. The ceremony was presided over by Premier Li Keqiang and also attended by Zhang Dejiang, Yu Zhengsheng, Liu Yunshan, Wang Qishan and Zhang Gaoli, all members of the Standing Committee of the Political Bureau of the CPC Central Committee. Xi’s speech came two days after China held a massive military parade involving more than 12,000 service personnel at the Zhurihe military training base in north China’s Inner Mongolia Autonomous Region. “Today, we are closer to the goal of the great rejuvenation of the Chinese nation than any other time in history, and we need to build a strong people’s military now more than any other time in history,” Xi said in Sunday’s speech. SHANGHAI (Reuters) – China’s military is “confident, capable and fully prepared” to protect the country’s sovereignty and territorial integrity, the state-run China Daily on Tuesday quoted Defence Minister Chang Wanquan as saying in reference to Taiwan. China loves peace but will never compromise on defending its sovereignty, President Xi Jinping said on Tuesday. China’s People’s Liberation Army is training an all-women special operations force over cold mountains and high seas. But it won’t reveal where they may be deployed in real battle scenario, which is something rival armies such as the one in India may want to know. Chinese President Xi Jinping reviewed the armed forces on Sunday morning as part of the commemorations to mark the 90th founding anniversary of the People’s Liberation Army (PLA), which falls on Aug. 1. More than 12,000 service personnel from the army, navy, air force, armed police as well as the newly formed rocket force and strategic support troops, took part in the parade at Zhurihe military training base. In 2015, the Diplomat magazine has published a string of satellite photographs showing that in the past two years China has constructed an extensive Zhurihe combat training facility in the Inner Mongolian desert that looks an awful lot like central Taipei. During huge military parade was spotted Zhurihe training structure looks like the Presidential Building in Taipei. Taiwanese Defence officials described the footage as “absolutely unacceptable”. A group of shepherds was asked to vacate the land by troops of China’s People’s Liberation Army in Barahoti area of Uttarakhand’s Chamoli district. Chinese troops were sighted on the Indian side of the Line of Actual Control (LAC) at Barahoti in Uttarakhand, officials said on Monday, against the backdrop of the nearly two-month-old standoff between the two sides in the Sikkim sector. The latest incident came almost a year after People’s Liberation Army (PLA) soldiers were spotted on the Indian side in the same area of Chamoli district. The Chinese troops intruded almost a kilometre into Indian territory and threatened some shepherds, PTI reported. The incident occurred last week and the Chinese troops went back after about two hours, sources said. Chamoli’s superintendent of police Tripti Bhatt acknowledged that “something” had occurred at the border but did not go into details. “I am not supposed to comment since it’s a matter of the strategic relationship between two nations. But there has been something (in Barahoti). Partially, it (the news report) is correct,” Bhatt told HT on phone. In New Delhi, sources sought to play down the reported intrusion. They said “incidents of a similar nature have happened in the past but are normally sorted out locally”. Such incidents “should not be given undue importance”, the sources added. Chief minister Trivendra Singh Rawat said the Indian Army is keeping a close watch on the 370-km frontier with China in Uttarakhand following the standoff near the Sikkim border. Indian and Chinese troops have been locked in a standoff at Donglang near Nathula since June 16. The faceoff began when Indian soldiers acted in coordination with Bhutan to block the construction of a road by Chinese troops in Donglang, which is under Beijing’s control but claimed by Thimphu. In June, a Chinese helicopter violated Indian airspace and hovered for around four minutes over Barahoti, the superintendent of police of Chamoli had confirmed. Barahoti is an 80-km-long pasture located 140 km from Uttarkhand’s capital Dehradun where local grazers go with their livestock. Former chief ministers Vijay Bahuguna and BC Khanduri, while participating in internal security meetings on record, said Chinese troops had trespassed into the Indian side more than 30 times in the past decade. Last year, an inspection team of Uttarakhand officials on a routine visit to the LAC near Barahoti encountered some Chinese soldiers on July 19. The PLA troops appeared “out of the mist” and signalled to the Indian team to go back. The state government had confirmed this incident. 01.08.2017 14:55. German Foreign Minister Sigmar Gabriel is maintaining contact with his U.S. counterpart Rex Tillerson on a new sanctions package that has been seriously criticized in Germany, according to a statement made by Gabriel on Tuesday. “I am in close contact with Rex Tillerson,” the minister said. Berlin will use this opportunity to influence the White House decision and hopes that there is still time until U.S. President Donald Trump finally determines how he will strengthen sanctions against Russia. The law provides for consultations with Europeans before this can happen, Gabriel said. The German vice chancellor stressed that Germany would clearly defend its point of view: “It’s about overcoming the crisis in Ukraine and exerting political pressure with the help of sanctions against Moscow. This is possible only when we are united and act together.” “But we will defend ourselves against the America First industrial policy under the pretext of sanctions,” the minister said. Gabriel, a member of the Social Democratic Party of Germany, has repeatedly expressed concern over a new draft law by the United States and became the first German politician to publicly oppose the document. Brigitte Zypries, who replaced Gabriel as economy minister, earlier urged “countermeasures” against the United States for anti-Russian sanctions. German Foreign Minister Sigmar Gabriel hopes that U.S. President Donald Trump will prevent his country from imposing energy sanctions on Russia in their current form, reported German broadcasting company Deutsche Welle. “We … are happy that the American president has not yet decided what he is going to do. He has the opportunity to discuss these sanctions with us, considering European interests,” Gabriel said. “I am in very close contact with my American counterpart,” the German foreign minister said. “We, like Europeans, insist that there is no action at the expense of European interests.” Gabriel called the tough sanctions, which were approved by the U.S. Senate, unlawful. The minister accused the U.S. of mixing political and economic interests. He said that Washington wants to squeeze Russian gas out of the European market to make room for American gas. The Foreign Minister considers a joint approach best; the United States and Europe should work together to create a sanction policy against Russia, given the role of Moscow in the conflict in Ukraine. On July 27, the U.S. Senate passed a bill on sanctions against Russia, Iran and North Korea, after which it was sent to President Donald Trump for his signature. The day before, the White House stated that it strongly supports the sanction policy against Moscow. Earlier, Tillerson released a message explaining that the introduction of new anti-Russian sanctions indicates that the U.S. wants to see Russia take steps to improve bilateral relations. The diplomat also expressed his hope for cooperation between the countries regarding major global issues, noting that this would eliminate the need for sanctions. Nicolas Maduro said Monday he had no intention of deviating from his plans to rewrite the constitution and go after a string of enemies. The moves against Leopoldo López and Antonio Ledezma, who were already under house arrest follow an international denounced election to strengthen the government grip. CARACAS, Venezuela (AP) — Venezuela’s election body says more than 8 million people voted to grant President Nicolas Maduro’s ruling socialist party virtually unlimited powers with a constitutional assembly — a turnout more than double the estimates of the government’s political opponents and independent experts. Some of the defendants are jeered as they enter the court precincts under armed guard. And Moscow is only buying 12 of them. China’s senior military official has indicated his country’s intent to develop full-fledged cooperation with the Russian Aerospace Forces. As part of a cyber-espionage operation against Hillary Clinton’s 2016 presidential campaign, North Korean hackers compromised email accounts belonging to individuals involved with an East Asia-focused foreign policy advisory group, multiple people familiar with the incident told CyberScoop. The North Koreans sought to acquire policy documents and other relevant information that may have affected the regime if Clinton were to become president, the sources said. The advisory group’s job was to craft such policies. The hackers were able to break into the email accounts of employees of at least one prominent D.C.-based think tank; some of which were involved with the East Asia foreign policy advisory group. These individuals occasionally communicated with staff of the Democratic candidate’s official Hillary for America (HFA) campaign, based on an incident response report obtained by CyberScoop and authored by security experts who worked for the presidential campaign. The attackers used their access to apparently draft convincing spearphishing emails that were then sent to other associates of the campaign. In addition, the North Korean hackers sent phishing emails from random email accounts which were made to look as if they had come from an authentic and familiar address used by one campaign official. The breaches reportedly did not target the Clinton campaign’s internal email account. This paper aims to contribute to the highly salient debate on fake news and hate speech by analysing possible ways of online platforms’ regulation. The paper firstly outlines the main challenges currently posed by the rapid spread of hate speech and fake news to democracy. Secondly, it describes the sheer influence of online platforms on contemporary media consumption, the duopolistic position of Facebook and Google in the global digital advertising market and the vast legal protections these online platforms currently enjoy in both the EU and the US. The paper then proceeds to a comprehensive overview of relevant proposals and initiatives, put forward by governments, but also the civil society, the private sector and the platforms themselves. Based on its observations, the paper proposes the following measures to actors wishing to mandate a greater responsibility of online platforms for news. Anoesis noun [an-oh-ee-sis] 1. a state of mind consisting of pure sensation or emotion without cognitive content. This describes most political discussion and much of the reporting of today. Thank you to Dictionary.com for your Word of the Day. U.S. Vice President Mike Pence says President Donald Trump will sign a bill on a new package of sanctions against Russia. The House Science, Space and Technology Committee is concerned that antivirus products could be used by Russia for espionage, sabotage or other activities against the United States. White House senior adviser and President Trump’s son-in-law Jared Kushner reportedly dismissed on Monday accusations that Trump’s presidential campaign colluded with Russia, saying the team was too disorganized for such a conspiracy. In off-the-record remarks to Capitol Hill interns, as reported by Foreign Policy, Kushner said that the Trump campaign struggled to stay in touch with its own representatives across the country. Trump’s new chief of staff established his authority by abruptly dismissing newly named communications director Anthony Scaramucci. Mooch told a prankster he wanted to fire Bannon, CNN reports.